The past two years, my husband, my daughter and I have been traveling to and from the east coast two times a year to visit family. It started at age 1 and now my daughter is 3 and we still make the trip back and forth. Each time of traveling gets a little bit easier, but only because we have done it so often – not because the trip actually gets easier! Now when you go on a trip where you are going to be renting a car (because how else will you get around realistically? ), you have two options; 1. Rent a car seat. 2. Bring your own car seat. The second one actually stressed me out so much that I never made it an option. But my reasoning was that we would have to carry it all over the airports and if we got stuck staying in a hotel, which we often have happen, then I would just be dragging a heavy car seat all over the place getting it dirty and potentially just leaving it in the airport to avoid how heavy it was. I also know for a fact that renting a car seat from a rental car company is super stressful as well! It’s never easy for parents right? 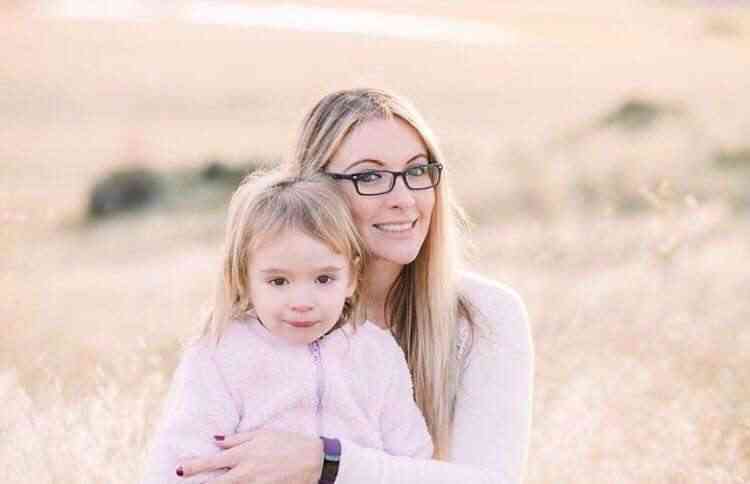 One time we rented a car seat from a company in Tampa, FL and we had to go through three different car seats before we got one that was not broken ……….. 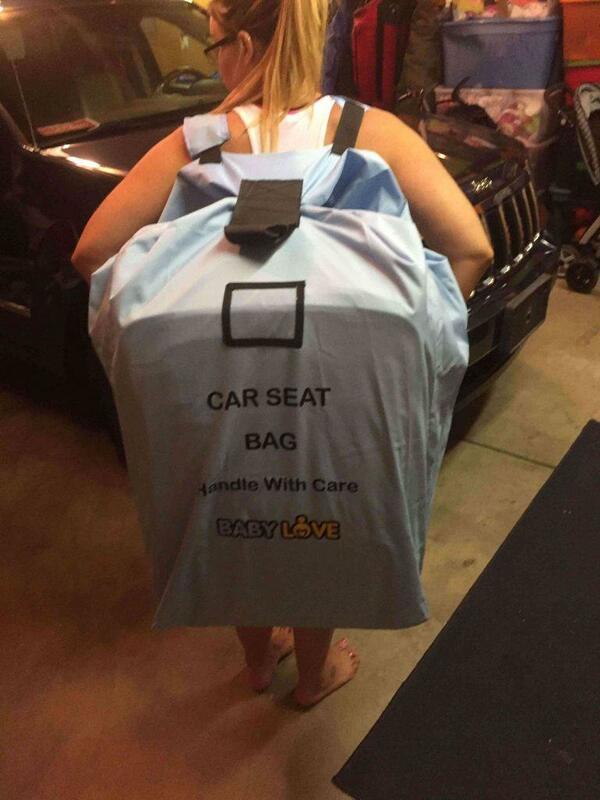 In my search of amazing products for motherhood that I need, I stumbled upon the Baby Love Carseat Travel Bag. 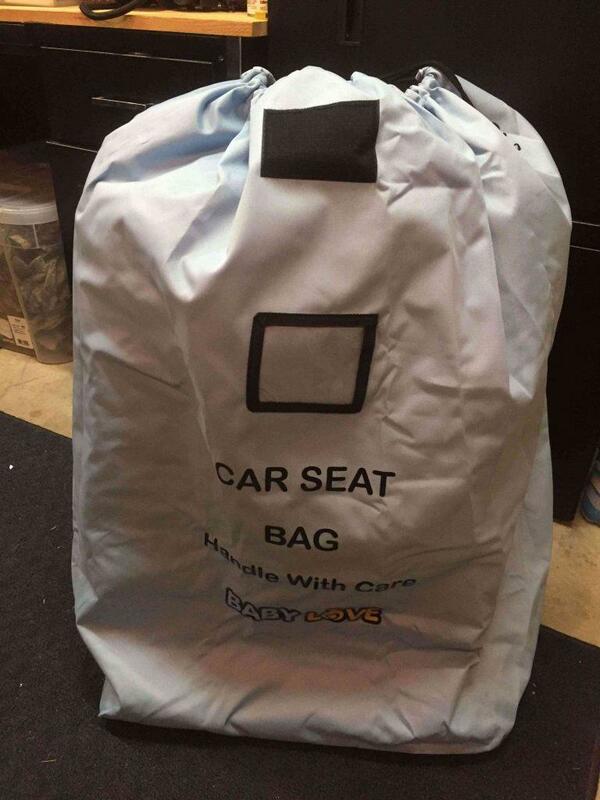 This car seat bag has changed traveling for the better! 1. 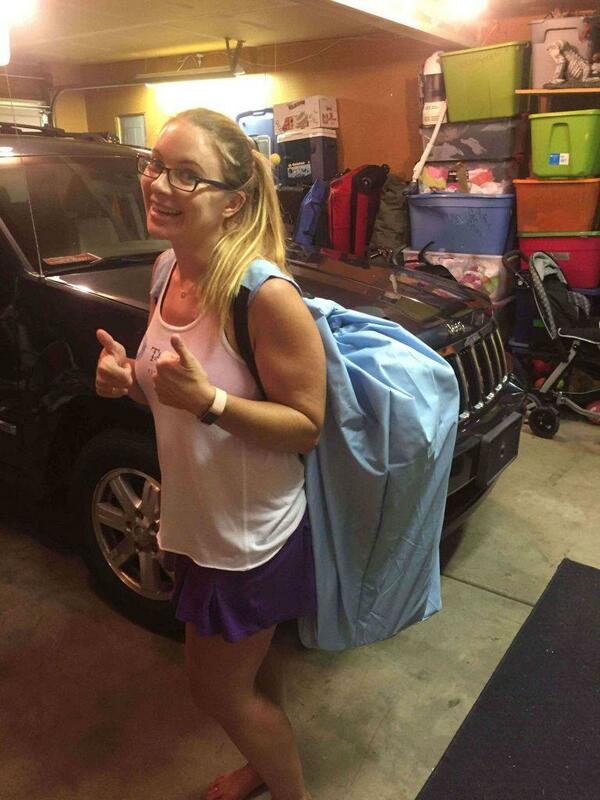 The car seat can be carried on your back like a backpack. The bag was easy enough to get the entire car seat in and to tie up. There is a velcro piece on the top that will hold the bag together, making it easy to take apart. 2. Its quick and easy to use. This is important especially when you are trying to maneuver a car seat through airports and lines, it is easy to put through security and carry around the airport. 3. It keeps the car seat clean. 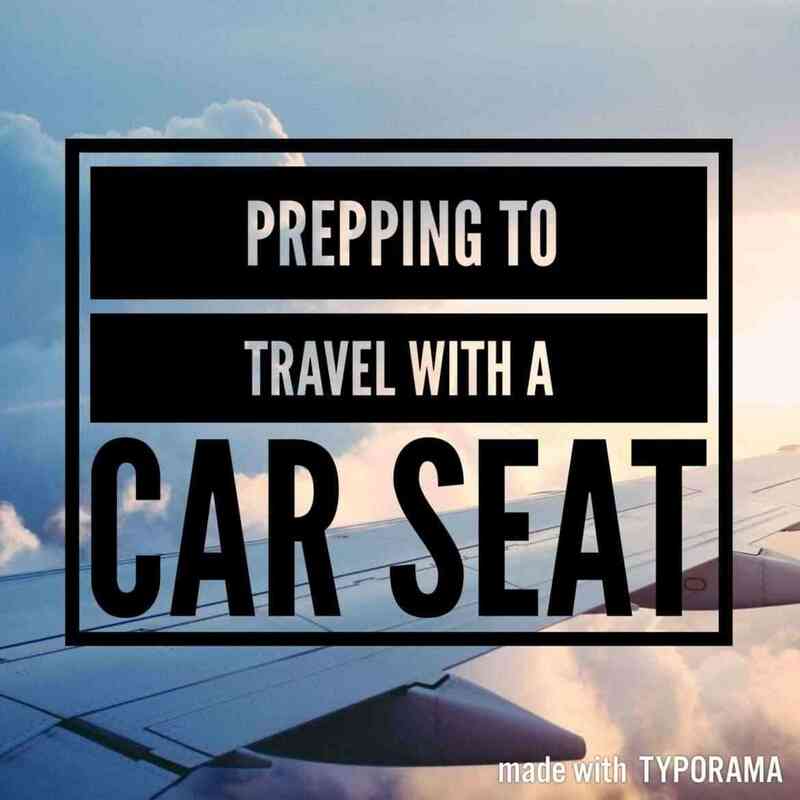 It is important to keep the car seat protected when traveling in airplanes because the airplane floor may not be the worst place that car seat is going to be thrown. The people who put the carry on luggage under the plane in a big rush do not care what your car seat lands in! Have you ever been underneath an airplane? I haven’t – so I have no idea what is in there bug wise! This car seat cover keeps your baby protected from any bugs that could have been on the ground underneath the airplane. Traveling soon? No problem at all! This baby is on Amazon Prime. Check out the link below to purchase!